To succeed you need to jump on opportunities as quickly as you jump on conclusion. 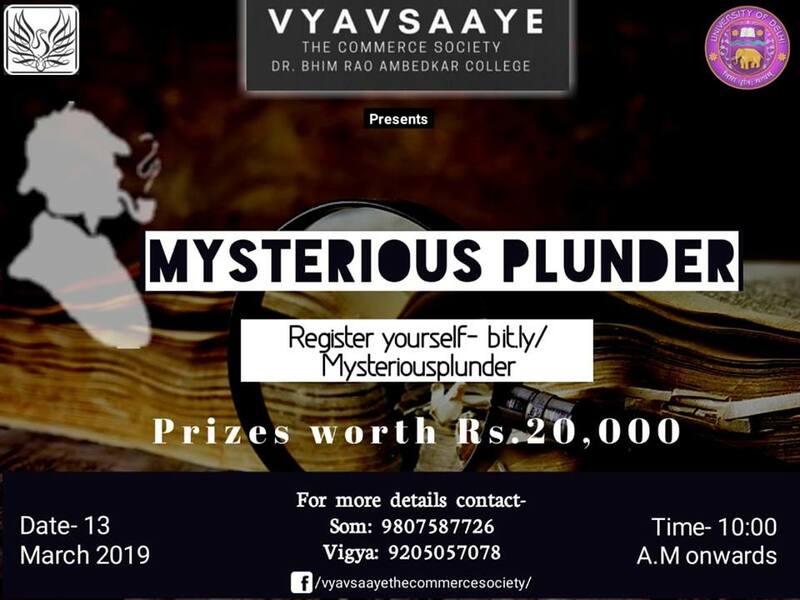 VYAVSAAYE- The Commerce Society of Dr.Bhim Rao Ambedkar College, Delhi University presents CommCoterie 2019. The fest is a two day fiesta celebrating commerce and it’s real world implications. An event to expand your horizons beyond the textbooks. 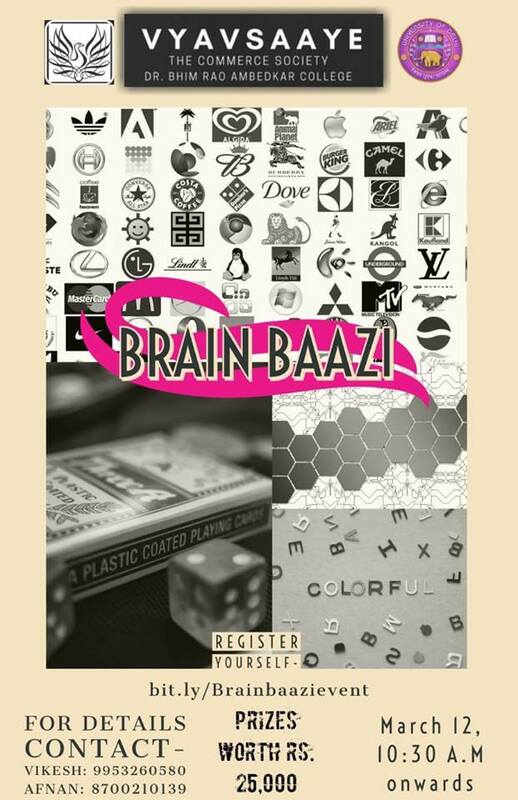 Get your brain cells at work; come forward to take a test of your knowledge and insights. An event which will host varied emotions and social messages through powerful performances and thought provoking narration. An event which will challenge your investing skills and stock market knowledge. Challenge your Investing Skills and stock market knowledge with Stock Kings. An event which presents the opportunity for you to channel your inner artist and use your best creative skills, along with having a bit of street smartness. Show your best creative skills by participating in Funky Junky Competition. Ever been startled at how Sherlock solved all those mysteries and picked up on obscure clues? Put on your investigating hat and brainstorm and solve a mysterious plunder. Do some brainstorming by participating in Mysterious plunder at Commcoterie 2019. Black Panther forgot where Wakanda is located; Thor Forgot how his hammer was formed; and the Ant-Man forgot name of his enemy. Can you help these legends find answers? Here’s chance for you to prove your love toward marvel heros. Think you have the abilities to become and entrepreneur, then gear up and bring your startup ideas and explore other possibilities.